In late 70's, the Mendocino Woodworkers Association was producing two Fine Woodworking shows a year. I always made a new piece for these shows. 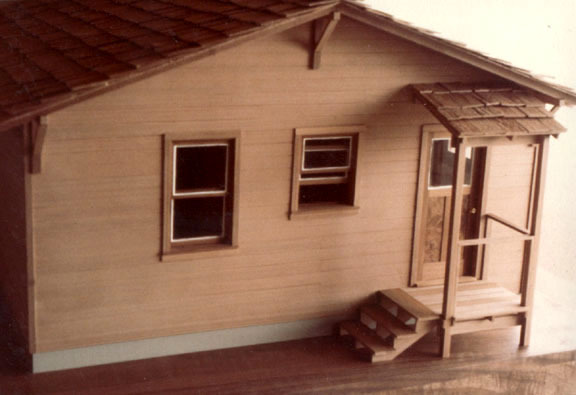 For the Spring 1979 show, I built a 1" scale model of a small house that my friend David Willoughby rented in San Diego, California. He had drawn up plans some time before, and I reproduced it, with upgraded finishes. 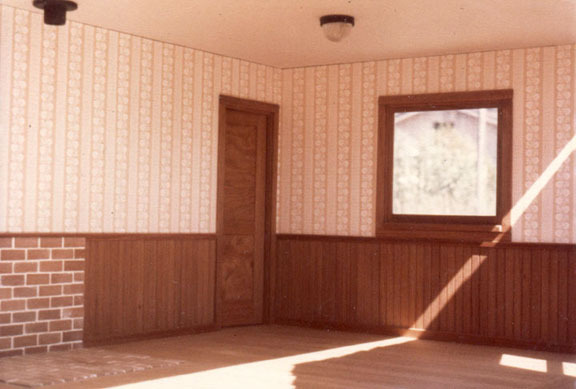 The model has hardwood floors, brick hearth, and redwood doors and windows. The exterior has redwood siding and roof shingles. This piece did not sell in the show, but generated lots of interest. 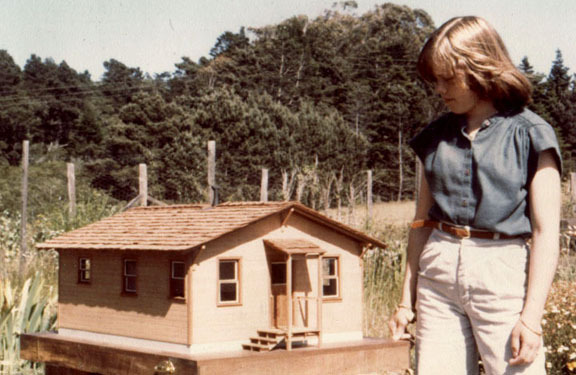 Afterwards, I took it around to the various dollhouse shops in the San Francisco area, and discovered the whole world of 1" scale dollhouses. I never did sell this house, and finally donated it to a raffle fundraiser for a local charity. This is the front of the house. 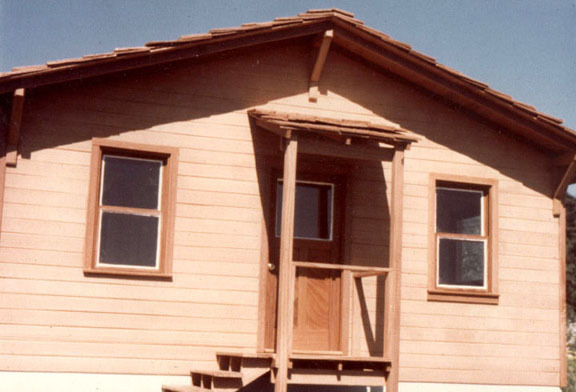 This shows the overall sixe of the house on it's base. The front and back walls hinge open for access. This is one side of the living room. 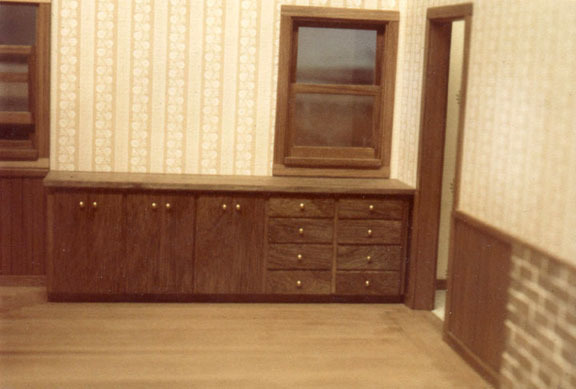 This shows the built in walnut cabinets.